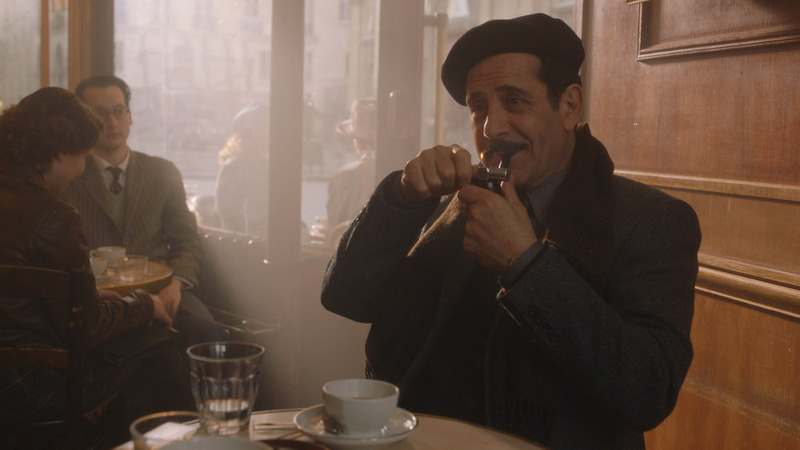 Amy Sherman-Palladino, Rachel Brosnahan, and Tony Shalhoub discuss the risks of refusing to play things safe on Amazon's biggest show. The first season of “The Marvelous Mrs. Maisel” is one of the streaming era’s most perfect stretches of television — the kind of once-in-a-generation Hale-Bopp of a comedy that can only happen when a singular talent is given a blank check to make her dream project a reality, and then the stars align so that it somehow turns out just right. 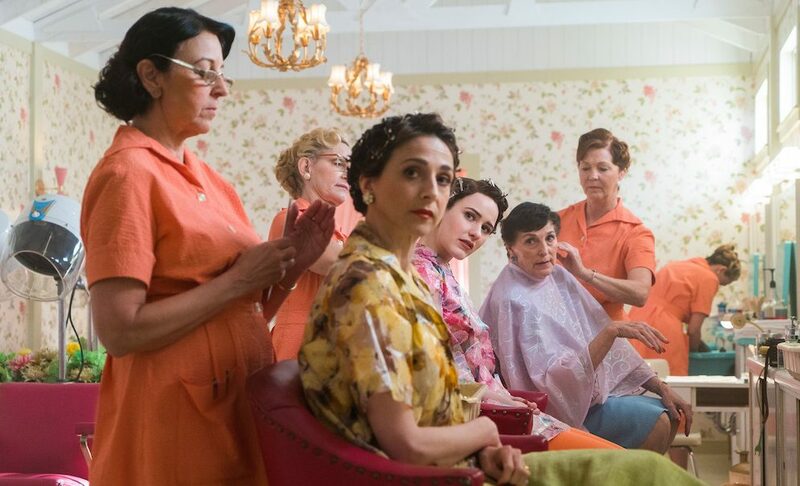 And so — fresh off Emmy and Golden Globe wins for Best Series — creator Amy Sherman-Palladino knew exactly what she had to do to keep the magic alive for Season 2: Change everything. Sitting next to her husband and creative partner Daniel Palladino in a quiet Manhattan hotel suite that felt worlds removed from the manic zeal of their work, Sherman-Palladino suggested that you might have to kill a golden goose if you want to make something more valuable out of its feathers. “The thing that interests us the most,” she said, “is taking something, blowing it up, and then seeing how people relate to each other from there.” Hence the decision to begin Season 2 by uprooting everything that made the first one so familiar and moving the show to Paris for the spirited, bittersweet, vaguely musical episode that kicks off this new run. And yet, when it comes to a visionary TV veteran who’s finally afforded the stability she’s always deserved, the decision to mix things up might be a tough pill to swallow — if not for Sherman-Palladino, then perhaps for her long-suffering fans, who’ve spent more than a decade waiting for a Sherman-Palladino show that isn’t going anywhere. At a certain point, even Sherman-Palladino’s most dedicated fans began to suspect that her warm and buoyant shows were just too pure for this sick, sad world. And now that “The Marvelous Mrs. Maisel” is the biggest thing to happen to Amazon since the invention of books, those same fans may naturally find themselves rooting for Sherman-Palladino to savor that success and not do anything that might break the spell. At the same time, this is a show about a plucky, privileged Jewish divorcee whose burgeoning stand-up career forces her to find her voice at a time when women are expected to be silent, and that means a measure of radical change. In fact, that’s what Sherman-Palladino loves most about it. “I think the evolution of characters as life sweeps you along has been the constant in our careers,” she said, and Season 2 of “The Marvelous Mrs. Maisel” finds Midge (Rachel Brosnahan) isn’t the only one trying to find some kind of a balance in a world that’s shifting under her feet. All the major characters are either looking for a change, or bracing for one. This, it seems, is what the show is about, and the new episodes are so vital because of how deeply they take that to heart. The relationship between a TV show and its fans is kind of like a marriage: A covenant is agreed upon, with a mutual commitment to be there for each other until cancellation do them part, predicated upon a tacit understanding that nothing ever stays the same. Both a TV show and the people who watch it have to grow in order to survive, but it can be terrifying to watch someone (or something) you love blossom into a richer, fuller version of itself. What if that richer, fuller version doesn’t love you back? Brosnahan placed most of the blame for that on Midge, who’s so busy changing that she takes advantage of the one person who’s sticking by her side. The actress said she resented Midge’s narcissism, in large part because Brosnahan cites solidarity as the biggest difference between being a woman in 2018, and playing a woman in 1958. “At this point,” Sherman-Palladino said, “I don’t think they’re going to fight us unless we want to stop the show tomorrow.” That’s right: In the year of our lord 2018, Amy Sherman-Palladino is making a show so popular that its network — or streaming platform — would be furious if she stopped. The world turned upside down. A little change, it seems, isn’t always so bad. Season 2 of “The Marvelous Mrs. Maisel” is now streaming on Amazon Prime.